With my usual uncanny senses of flair and timing, the Dork Tower Patreon launches Monday. (Waits for audience to stop laughing). (Waits just a bit longer). Yes, yes, yes. I know. Here’s the thing: a few years ago, I realized that Dork Tower had become a hobby, to me. Between my illustration gigs, and becoming a dad, and needing to spend more time with family, and some Big Things life threw at us, I stopped publishing the comic books and collections, to spend more time with my family. ​The magazines that had once run the strips have also died off. And what had once been a job was now something I only got around to, when I had a few spare moments. 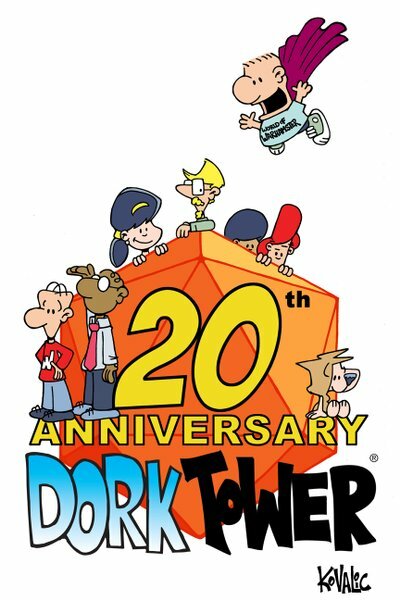 With Dork Tower’s 20th anniversary, I want to turn that around. The comics have been appearing more-or-less weekly at dorktower.com. So have the blogs. And while I’d love to post five strips a week, even getting two up, on a regular basis, would be a great start. This means giving up some of the other work. NO, NOT “MUNCHKIN.” What? Do I look like a silly person? But I would love to get Dork Tower back to the point where I’m giving it as much time as I do Munchkin, were it was ten years ago. Allowing me the time to create a backlog of strips. Paying guest artists, those times when I do need a break, so there’s no interruption in the schedule. Allowing me the time to finally collect the web strips into more volumes, and even creating all-new long-form Dork Tower stories and trade paperbacks. Letting me drop some other gigs, and give Dork Tower equal time to Munchkin, again. ​Honestly, my readers are AMAZING, and I feel incredibly privileged. You don’t have to do a darn thing to keep me feeling that way about you all. I realize money is tight all around, and I do appreciate anything and everything you guys do to help, even if it’s simply some kind words every now and then. ​With the help of fulfillment guru David Michael, he of “Insane Charity Bike Ride Goodies” fame, I’ve structured the levels so to a point where I hope there are some sweet rewards for those kind and able enough to back this venture. The Dork Tower Patreon is the second of three steps on the road to the 20th anniversary. The first was the redesign and relaunch of the Dork Store, while the third is a Kickstarter for a new collection, along with a re-release of the old collections in a nicer format. That part’s coming soon. Of course, last week Patreon changed its fee structure, without consulting anyone. Instead of the majority of their fees coming from the creators, they now come from the patrons themselves. While a $.35 charge per transaction on top of a 2.9% fee, might not seem like a lot, it adds up, hurting small donors the most. If you support an artist, for example, at $10 a month, you’d now paying be $10.54. This doesn’t seem unreasonable, does it? However, if you spread your donation around, and tried to support 10 artists at $1 each (as many do), you’d be charged that $.35 ten times, and end up paying $13.79 – nearly a 40% increase. In Social Media circles, this turned out about as well as you might imagine. Many creators were left unsure about their future with Patreon, and saw dozens of their small donors leave (apologetically, in nearly all cases). In all honesty, the Dork Tower Patreon – I had hoped – would live or die on the small donors: the micropayments from members of the Army of Dorkness. And for a while, I considered cancelling the drive entirely. I used to joke that I was waiting until people ran out of money, before launching my own Patreon or Kickstarter. HEY, PRESTO, here we are! Fretting about this on Twitter, many of you said you’d stick with Patreon anyway, and I decided that – as so much work had already gone into the drive – that we’d launch. With Patreon’s new fees, I bumped up all pledge levels to the next one’s planned reward, to try and offset this. Hence, what you’re getting at the $1 level (now close to $1.40, with fees) was planned for the $2 level, and so on. Then I added some signed comics and stuff to the top ($20) level. Anyway, thanks to the help of fulfillment guru David Michael, he of “Insane Charity Bike Ride Goodies” fame, I’ve structured the levels so to a point where I hope there are some sweet rewards for those kind and able enough to back this venture. 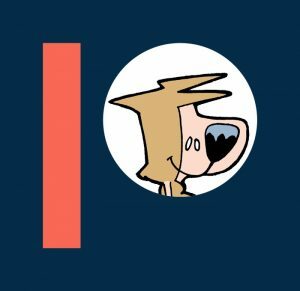 If you’d like to support Dork Tower, and have the means, there’s now the store, and the Patreon. But as I said – even just spreading the word helps. Or maybe giving a nice review of some stuff you’ve enjoyed of mine, on Amazon. Bottom line: you all rock, and I am so grateful to have such wonderful friends and readers.